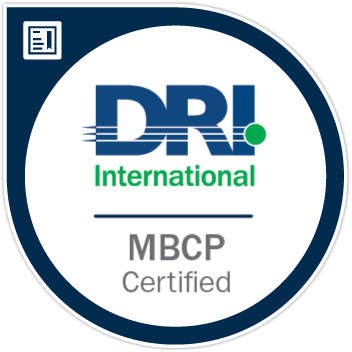 Earners of the MBCP badge are those with superior knowledge and significant experience in the business continuity profession. They are required to have broad business continuity experience, and in most cases these professionals guide their practices, departments, or organization with a high level of skill and expertise. The MBCP is DRI's highest level of certification and automatically entitles the earner to membership in the Order of the Sword & Shield National Honor Society (OSSNHS).